You can grade Quizzes.Next assessments using SpeedGrader. Most assessment items are graded automatically after a student submits the assessment. However, essay and file upload questions must be graded manually. This lesson shows how to open SpeedGrader from the Canvas Gradebook. 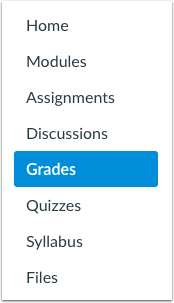 If your course has enabled the New Gradebook, you will need to open SpeedGrader from the Grade Detail Tray. In the Gradebook, click the drop-down menu for the assessment . Then click the SpeedGrader link . View the assessment in SpeedGrader . 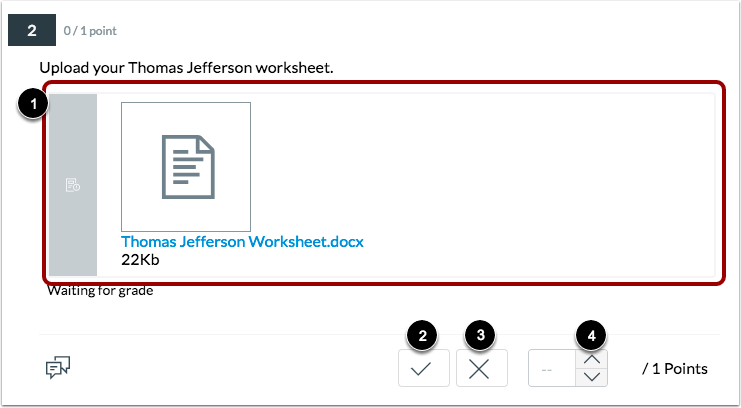 When grading assessments, you can use the SpeedGrader menu options , change students , change submissions , and leave assignment comments . Learn how to use SpeedGrader. Assessment results include the percentage score , point score , and time to complete attempt . If any questions require manual grading, a warning message will display . Items the require manual grading display a gray border . 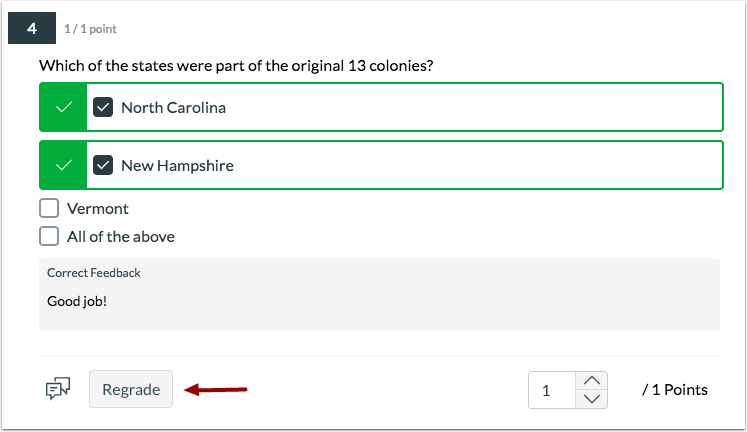 To give a student full points for an answer, click the Checkmark button . To give a student no points for an answer, click the X button . You can also use the Arrow buttons to increase or decrease the score . You can also regrade assessment items that have already been graded. 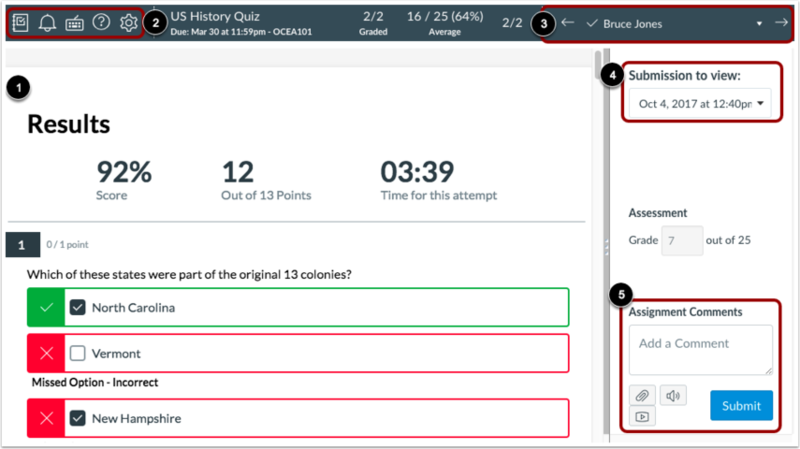 Previous Topic:How do I edit an assessment from Quizzes.Next in the Assignments page? Next Topic:How do I regrade an assessment question in Quizzes.Next? Table of Contents > Quizzes.Next > How do I grade an assessment in Quizzes.Next?